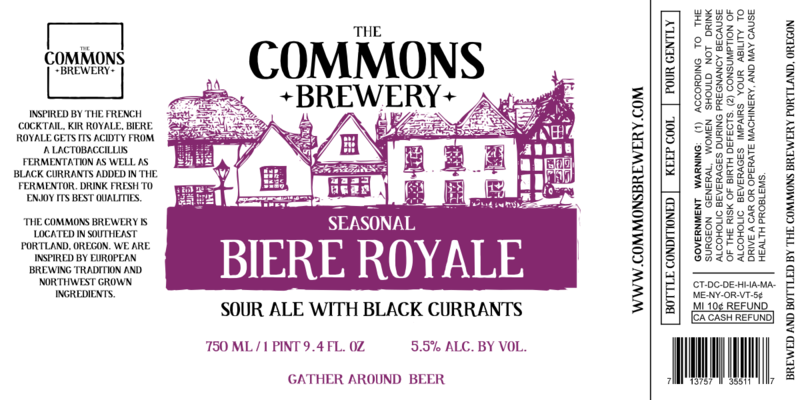 The Commons Brewery is releasing Biere Royale tomorrow as part of Belmont Station's Puckerfest. 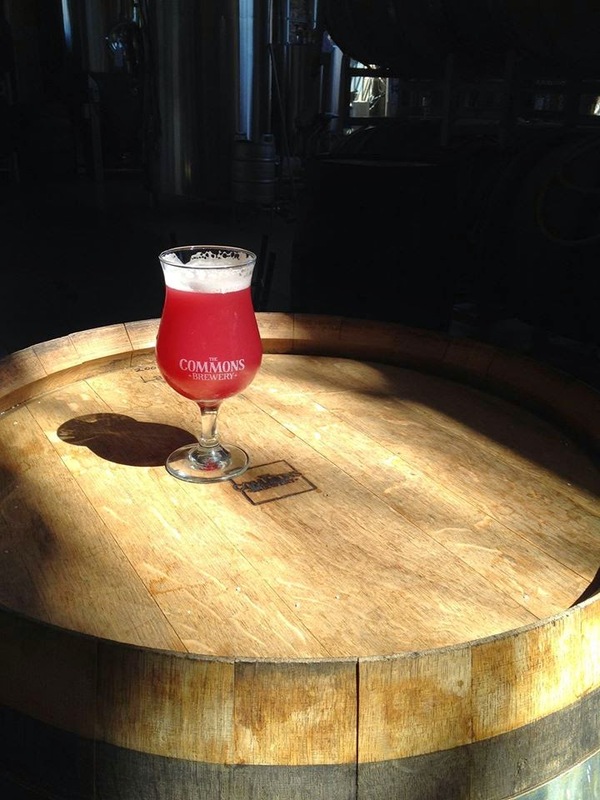 This is the 2nd annual release of this sour ale fermented with black currents and a strain of yogurt-cultured lactobacillus. Sean Burke, Head Brewer at The Commons, explained his yogurt technique to me last summer and I documented it on the blog. I even got a mention in the press release below! If you didn't get a chance to try it last summer, now's your chance. Portland, OR – The Commons Brewery will be releasing their next seasonal on Monday, July 14th at Belmont Station during their annual Puckerfest, a celebration of sour, wild and funky beers. Biere Royale, modeled after the french cocktail Kir Royale, is a sour ale with black currants. First brewed as a popular draft-only beer for the Portland Fruit Beer Festival, the bottled version has a bright acidity from a house-grown Lactobacillus culture originally harvested from yogurt. Black Currants are added during primary fermentation to add additional acidity, fruitiness and a deep purple hue to the final product. The process was catalogued very well by our friend Sanjay at http://www.notsoprofessionalbeer.com/2013/09/brewing-with-yogurt.html. Biere Royale will be available in 750ml capped bottles and in limited draft quantities at our Tasting Room and Portland’s finest grocery and specialty stores until mid-August. In addition to Biere Royale, Belmont Station will have several other special draft beers for the occasion: Citrus Royale, the citrus companion to Biere Royale, Trillium, a limited blended, barrel aged sour farmhouse ale and Ortucky Common, a dark rye sour ale brewed specifically for the 2013 Puckerfest. Opened in December 2011, The Commons Brewery crafts approachable and balanced European-inspired beers. The tasting room is located at: 1810 SE 10th Avenue, Unit E (entrance on SE Stephens between 10th & 11th). Tasting room hours are Thursday 5-9pm, Friday 5-9pm, Saturday 2-9pm, and Sunday 2-6pm. Since its founding in 1997, Belmont Station has become Portland's premier beer destination. The bottleshop features that have been thoughtfully selected, meticulously rotated, and properly stored under UV-filtered light to maintain the freshest selection of beer in the region. The adjacent features 20+ rotating taps and a cask "beer engine" pouring world-class brew on the cleanest draft system in Portland.